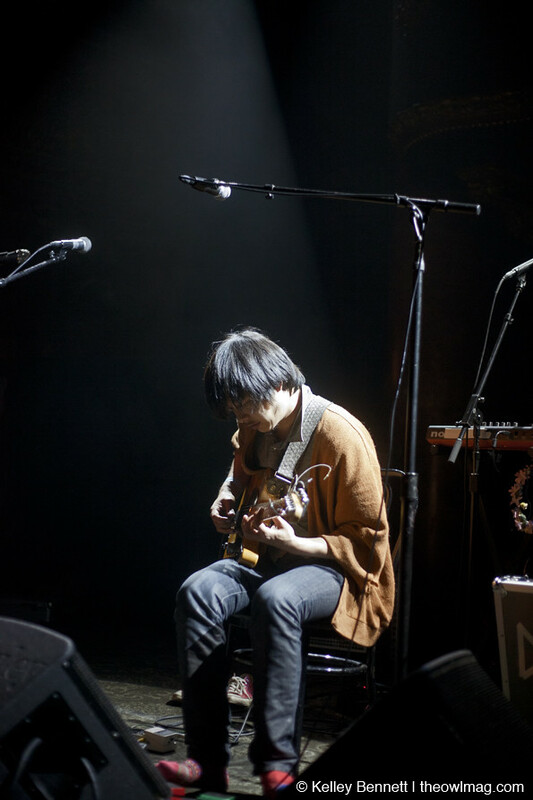 Place the likes of Sun Ra, Brian Eno, and Bjork in a bowl, add a dash of the Mortal Kombat theme song, and sprinkle Thom Yorke‘s vocals on top; combine all ingredients, and you’ve got something that resembles the celestial tunes of Dustin Wong. 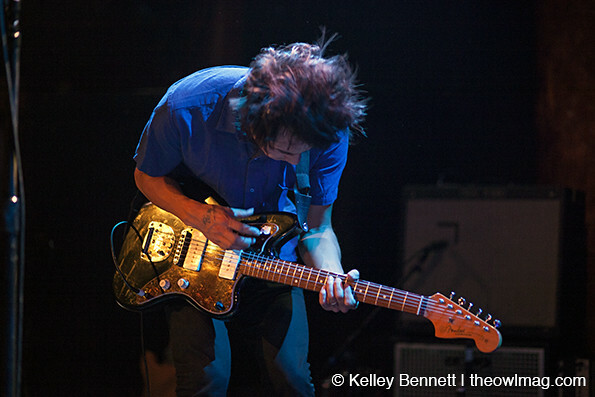 The former Ponytail guitarist barely spoke during his hour-long set at the Great American Music Hall on Wednesday night, for he was too busy being the most otherworldly one-man-band we’ve ever had the pleasure of seeing. 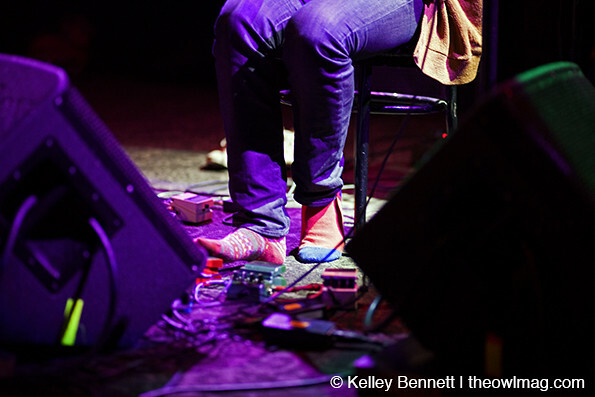 Donning a pair of endearingly mismatched socks and stomping on an assortment of guitar pedals as if they were kickdrums, Wong’s performance left the audience in pure wonderment. 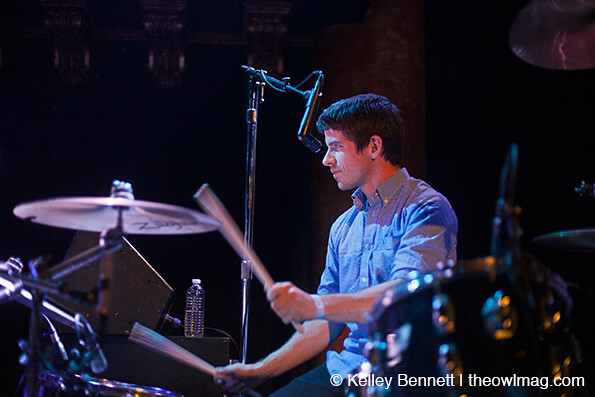 San Francisco’s own Dodos took the stage shortly after, playing the final gig of their recent North American tour. Despite their frequent categorization as an indie-folk outfit, the aid of touring guitarist Joe Haege transformed the group into a formidable power trio. Opening with “Confidence,” from their latest album, Carrier, frontman Meric Long and drummer Logan Kroeber were perfectly in sync as they tore through songs like “Relief” and “Substance”; however, they were sure to slow things down a bit and make room for older favorites, such as “Walking” from 2008’s Visiter. Though the Dodos clearly poured their collective heart and soul into their hometown performance, the band won’t be getting much rest: they’re soon headed to Japan and will be touring Europe through the end of November. 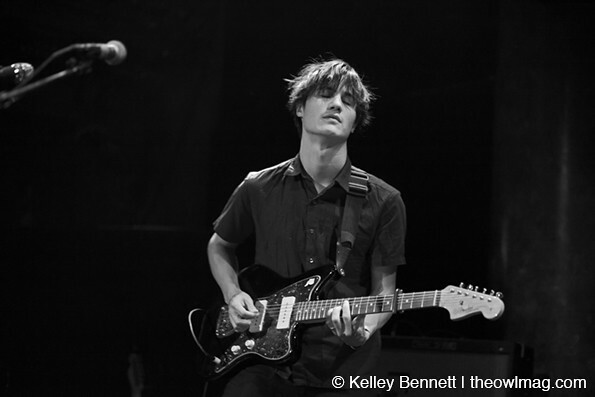 Check out more awesome shots of the Dodos HERE!